Using the ASK Method® to create VIRAL Quiz Funnels, I was able to help my client go from Zero to 65,000 leads and a Quarter Million Dollars in Revenue. 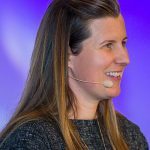 Marketing strategist and Certified Ontraport Consultant, Em Bowden uses her combination of creative, strategic and technical skills to create viral done-for-you "Big Idea" Quiz Funnels using the ASK Method. Emily Bodenham is the founder and principal of a full-service consultancy that creates high converting marketing funnels for her clients – in particular “Big Idea” quizzes that rapidly ramp up engagement and optins and have potential to go viral. Emily, or Em, as she is known, is also a Certified Ontraport Consultant and she has that rare combination of being able to see the big picture, and deploy creative and strategic thinking AND she also knows how to get your marketing funnel implemented. She has vast online marketing experience, having been generating traffic and sales online since 2009. Growing and expanding her expertise from startup WordPress expert to building full membership sites and other online communities, to creating extensive AdWords campaigns in an Agency setting, through to more complex Ontraport automations, including email marketing, funnel development, segmentation and quizzes. Em has experience in both the front end client acquisition and traffic generation part of the funnel AND she can also ensure you make the most of those leads by creating back end email marketing and client nurture campaigns to maximise conversions and client loyalty. “All my experience comes together in my ability to successfully implement the ASK MethodTM,” says Em. Em has specific expertise in providing Done for You Quiz funnel implementation where she can take care of the front end strategy development, the management of the the various team members needed to create the quiz and also look after the automation and technical aspects for you. In short, she is a one-stop-shop when it comes to creating powerful quizzes that not only attract new leads and grow your email list, but also segment those leads so you can more effectively market other products and services to them and increase your revenue and conversions. Unlike many popular quizzes that you might see in your Facebook Feed that are meant to be novelties or struggle to ever result in sales, using the ASK Method process, Em is able to create quizzes that combine the BEST of the viral elements of other popular quizzes while ALSO generating sales. For example, Em is able to consistently get 50% + optin rates from her quiz funnels and understands what it takes for a quiz to go viral and gain massive uptake over a short period of time, having created quizzes that have generated thousands of leads in just a matter of days. When done right, a “big idea” quiz funnel can be the centrepiece of a business, creating as many targeted, qualified leads as needed and building a strong revenue stream,” says Em. “Lots of people can think of a BIG IDEA quiz, but the big problem with most of those is that they are not tied back to something that’s going to sell,” says Em. Em can also further leverage a quiz by adding a “viral rewards” element to the strategy that makes use of gamification and rewards quiz participants for sharing the quiz with others. This has enabled Em to get as much as 30% of promotion sales from viral optins that she strategized and implemented. In addition to marketing strategy and done-for-you quiz funnel development, Em is also an expert in helping you with your offer and product creation. When it comes to product creation, Em has a strong track record helping clients create and/or revamp online products and services. For example, one client was planning on cobbling together a few of her existing ebooks and resources to do a simple upsell offer on a recent launch. Under Em’s guidance, instead she was able to repackage the offer into a short term membership offering and double the price point, resulting in $120,000 in revenue (when the previous year’s results were ZERO). And to help you make sure you make the most of your newly acquired customers and/or your existing database, Em also has a super power in creating highly segmented and personalized email marketing follow up campaigns. Tapping into her automation skills and her knack for strategy, Em is able to use automated email sequences to ensure her clients CONSISTENTLY get results… for example, she has a client who has consistently grossed a million dollars a year from Em’s strategies for the past 3 years and another client whose launch this year is set to match (and surpass) last year’s results. Work with Em Bodenham ?